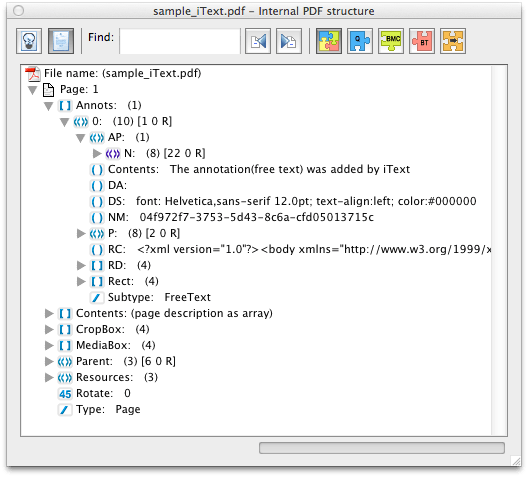 I have been looking at some Annotation issues and came across an interesting feature in a sample PDF file. I viewed it in Acrobat’s viewer and saw the following. 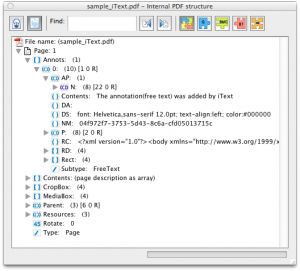 The PDF only contains 21 objects and there is no AP object attached to the Annotation. The object that I am seeing in Adobe Acrobat is actually a ‘synthetic’ object created by Adobe – it does not exist in the file. So does it really exist?